If you want to compete in today’s marketplace, online image is of the utmost importance. Creating a highly visual and engaging websites that facilitates client connection is absolutely essential. Thus, if you are looking for a web design company in San Antonio, that could give you one, then you are in the right place at the right time. Here in OBO, our extremely talented designers will create award winning designs all at valuable prices. We make sure that your website compels quick customer response by creating an exceptional design with astonishing looks and functionality. Our web designers in San Antonio can execute mesmerizing design solutions. OBO’s amazing people are devoted to producing creative and engaging content for your website. 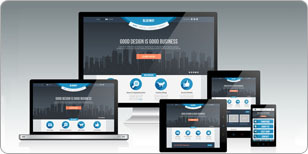 On the other side, are you starting a new business that needs a beautiful website? Or do you already have one that, unfortunately, hasn’t been managed since the start of the start of the 21st century? We at OBO still can do anything for you. Our team of front-end and back-end developers have got it all covered in terms of managing and maintaining your website using the latest technologies, multiple languages, and well-written code. As a web development company in San Antonio, OBO sets a big amount of time staying ahead of online trends, and website development styles. It is because aside from our technical expertise, we crave for good end users experience. By giving clients the best experiences with us, we get inspired to give more and give nothing less at all. We come to render more valuable outputs in order to maintain happy and satisfied long-term clients. Every day, we work to get even better. Contact us today to get expert service for your projects done in a timely and efficient manner!